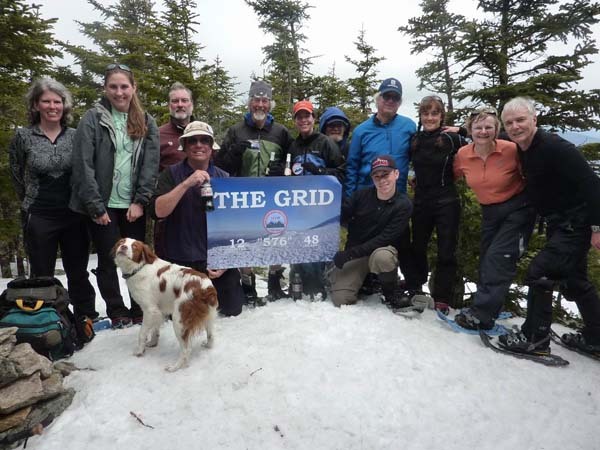 John Gutowski and June Rogier completed The Grid on Mount Tecumseh on April 24, 2011. This was the first time that two people completed The Grid on the same day. Not only that, but they completed all 576 peaks together! They were joined by about a dozen of their friends including Grid Finishers Ed Hawkins, Cath Goodwin, and Jeremy Clark.